 I'm Wendy McMahon, a professional education copywriter. I write articles, e-books, blog posts, case studies, efficacy studies, white papers and more. My goal is to inform your audience while sparking engagement and interest in your product, service or publication. I understand the issues and trends in education along with the educators and education leaders those issues affect. I can write everything from brief (but compelling) pieces to lengthier deep dives into today’s education issues.